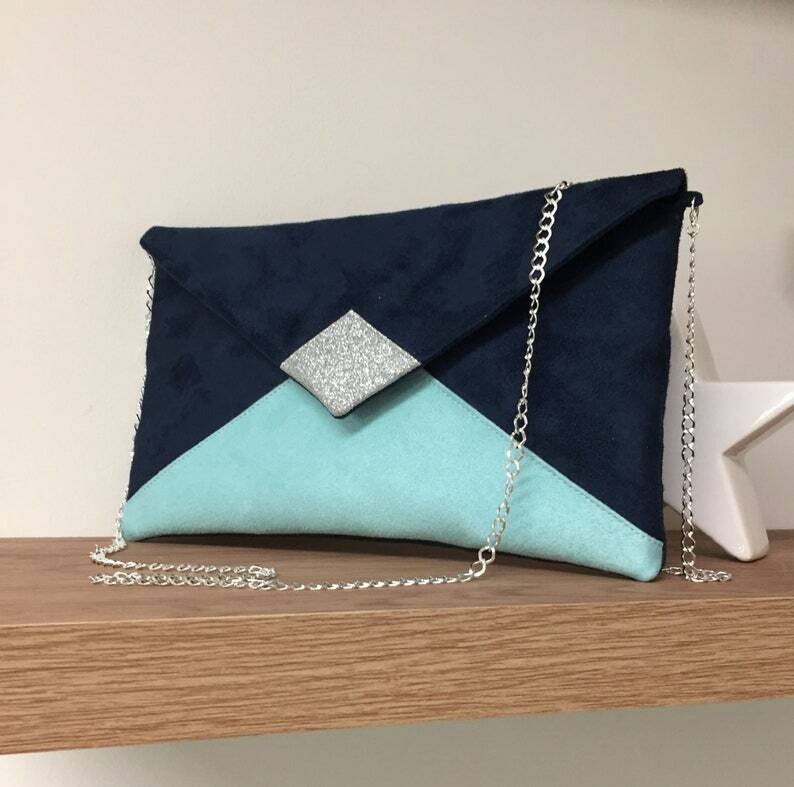 Evening clutch, Glitter wedding clutch, small handbag, customizable shoulder bag, navy blue andminth green silver chain bag, envelope shape, very trendy for your outings, a wedding, bridesmaids or a ceremony. 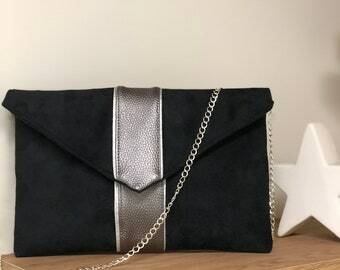 It is crafted in suede with a very velvety touch, suede effect, enhanced with silver glitter fabric on the front. The tip of the flap is covered with silver glitter fabric. 2 options are possible: WITH or WITHOUT chain detachable shoulder strap, you choose! It is lined in perfectly matched printed cotton. The very good quality of the suede, which is also interfaced, assures you a very good performance. The closure of the flap is done by a silver magnetic button. It is scratched internally Lesfilsdisa (permanent glitter flocking). Its dimensions are: 16 cm X 27cm. POSSIBILITY TO PERSONALIZE IT WITH YOUR INITIALS ON SINGLE REQUEST. You will receive it nicely packaged and protected, ready to offer!